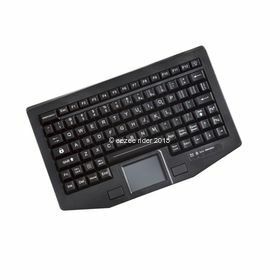 The FT-86-911-TP keyboard is designed for vehicle mount in emergency, police, service, transport and marine vessels. 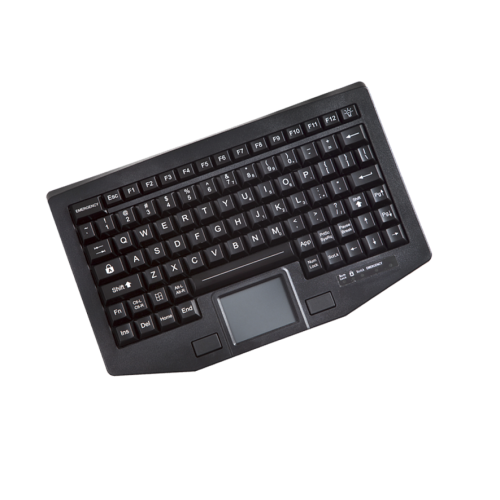 With a full-travel keystroke, the FT-86-911-TP feels like a regular keyboard while maintaining the rugged standards of all iKey products. The FT-86-911-TP is now built with laser-etched keys for improved backlighting performance. Ideal for in-vehicle use, the FT-86-911-TP features red LED backlit keys for low-light environments, a one-touch emergency key and an integrated touchpad.